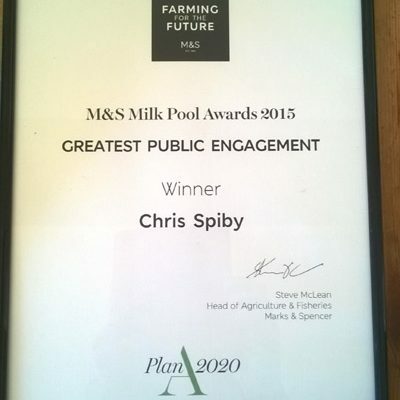 We are very excited to tell you that Chris was presented with the Greatest Public Engagement award at Marks and Spencer’s annual milk pool meeting! We were given this award because of our work and promotion of dairy farming at our Open Farm Sunday events. This lovely certificate now takes pride of place on the mantelpiece!